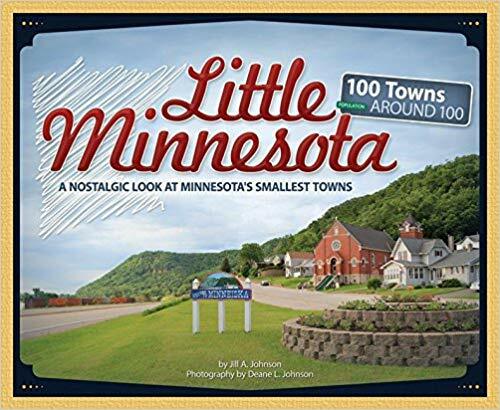 ★ A conflagration swept across northern Wisconsin cities in October 1895. The Janesville Daily Gazette reported the village of Meadow Valley in Juneau was completely wiped out, as was the village of Lamartine near Fond du Lac. Fires rages in Green Bay and Kewaunee. In Waldo fire destroyed the houses and barns of George Pollard, Edward Colwell, and William Ramaker, together with all their machinery and effects. Losses totaled $7,000; insurance would over only $6,000. 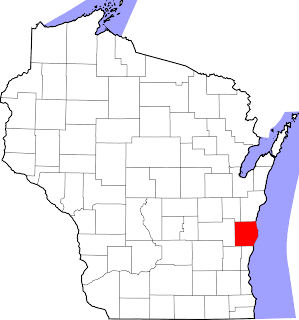 ★ "A Fatal Wreck" at Waldo was reported in the Sturgeon Bay Door County Democrat. Three men were killed and two injured the evening of May 15, 1896, when Fast freight No. 64 was derailed by a pile of ties on the Chicago, Milwaukee & St. Paul railway at the “north switch” at Waldo. Engine 256 and eight loaded cars were thrown into a ditch. The derailment was a sabotage presumed to be area tramps. Killed outright were engineer John O’Connor of Green Bay, brakeman Emil Caspard of Milwaukee, and Joe Millar, a tramp who had stowed away in one of the freight cars. Fireman Louis Tennis of Green Bay was scalded by steam and had both his hand crushed and pinned down by the wreckage; he was trapped for nearly two hours until the wrecking train arrived. Benjamin Turbin, stealing a ride with Job Miller, suffered a broken leg. Sheboygan County Sheriff Grashorn and Deputy Sheriff Bornefeldt had suspects Fred Green and Joseph Wildman in custody by May 18th; more arrests were expected. All movements of the officers had been conducted “with the greatest secrecy” and they decline[d] to talk about the case and refuse[d] to give any of the causes which led to the two arrests”. In default of $1,000 bail, the prisoners were remanded to jail at the arraignment to await the hearing on their charges. ★ News from March 10, 1898 – Miss Kate Smith spent Sunday at Plymouth. George Bueckler purchased John Serfling’s property for $600; Bueckler will open a general store on the property soon. Mr. Levi Sharpe was remodeling his farm house as he was making plans to move there in the next month. Tom Alcox was sick for a few days. ★ According to the Rhinelander New North, Ennis Dyke, Leo Long and Carl Wilcox, three boys “of tender years” of “well known families” of the village of Waldo were arrested in Kenosha in June 1906 for stealing horses, and returned to Waldo. ★ Waldo resident Don Williams researched, wrote and published "The History of the Village of Waldo, Wisconsin" in 1995. 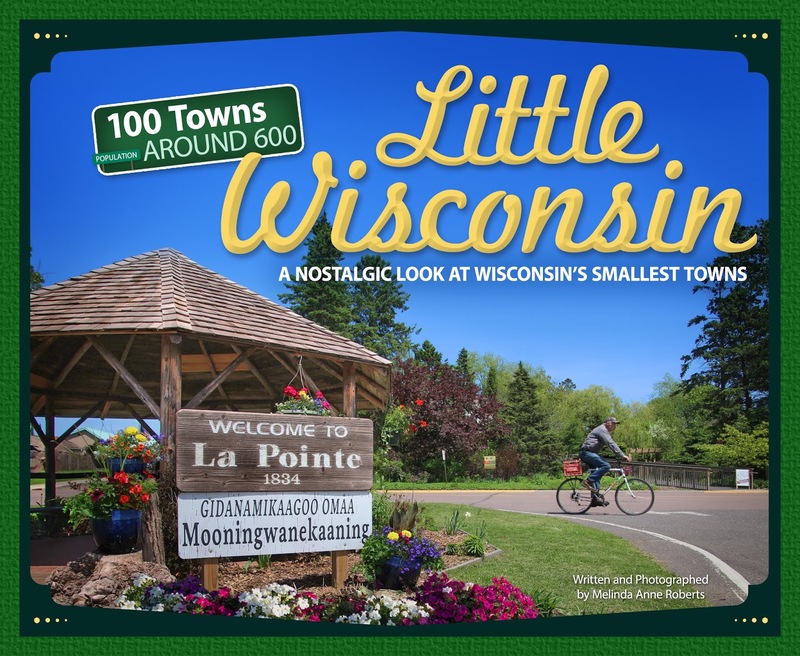 The popular book is chock-full of "volumes of information" gleaned from "many nooks and crannies of the Sheboygan County Historical Center, libraries, and private collections". Lieut. Col. Jeremy Anthony Watrous (1840-1922) gave the leading address at the annual gathering of the Sheboygan Veterans Association on June 22, 1910. More than 200 veterans were present, with visitors “swelling the attendance to fully 1500”. The weather was “ideal” and the meeting was reported as “one of the most successful” in the organization’s 28-year history. George W. Spratt was re-elected president, C. A. Corbett, secretary and treasurer, and Julius Schleich was elected historian. The gathering was held in an apple orchard on the outskirts of the Village of Waldo, the orchard “attractively decorated for the occasion”. Everyone enjoyed a free dinner at noon, prepared by “the ladies”, who were honored for their “great undertaking under the circumstances”. Lieut. Col. James Anthony Watrous (1840-1922) was a Yankee immigrant to Wisconsin. He was an author, journalist, historian, politician, and a veteran of the Civil War. He enlisted in 1861 in Company E of the 6th Wisconsin Volunteer Infantry Regiment. He rose in ranks and was briefly adjutant general of the Iron Brigade. He was captured by the Confederacy on March 31, 1865. He mustered out later that year with the brevet rank of captain. He later served with the U.S. Army in the Spanish-American War, and was later stationed at Manila in the Philippines. 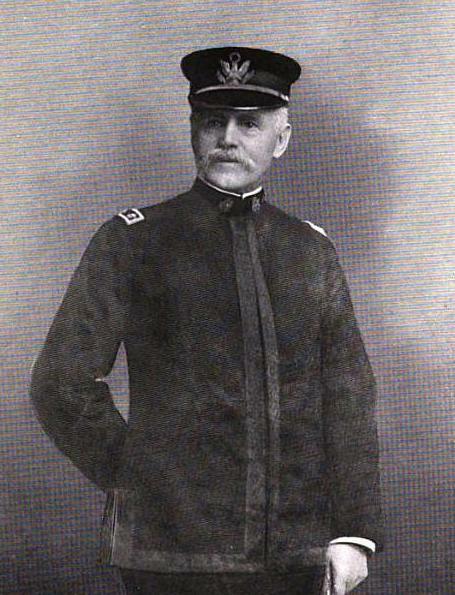 He retired from the military shortly after being promoted to lieutenant colonel in 1904, and returned to Wisconsin. Watrous’ remarks were reported as ‘timely”. Other speakers included Department Commander Walsh of Milwaukee, Col. George W. Carter of Ripon, and Samuel A. Cook of Neenah. The Eagles’ Fife and Drum Corps performed, “made a hit and were roundly cheered". Mr. and Mrs. David Carrier, formerly of Elkhart and now residing in Fontenell, Iowa, travelled 600 miles to attend the Sheboygan County Reunion at Waldo, after a 24 year absence from the area. Carrier was well-known for his service “in the 27th . . . throughout the Civil war”. The 1911 gathering would be held at Plymouth. Waldo is located in Sheboygan County.